The Momentum is designed to be an extension of the body, regardless of shooting position. 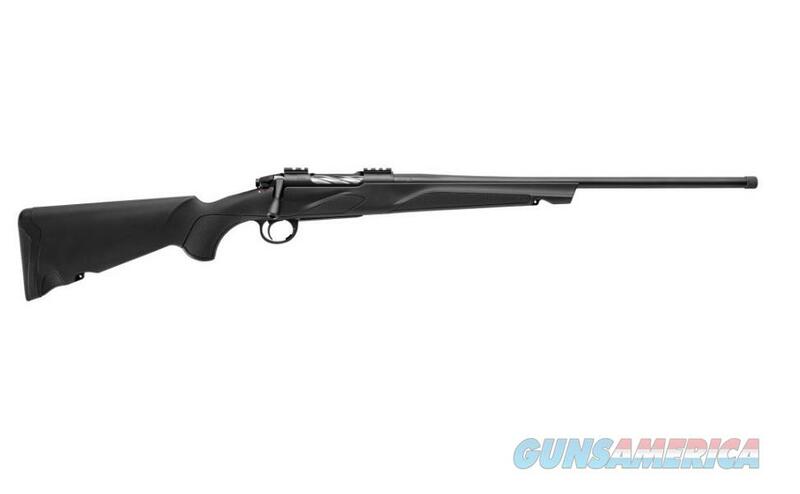 The stock combines curvy lines and crisp checkering to yield an ideal hold in 5 frequently-used shooting positions, while the recessed swivel attachments save the left hand from recoil. The TSA recoil pad absorbs 50% of felt recoil and will not snag on your clothes. The action features the same blend of comfort and crispness, with its glass-smooth bolt operation and short 60-degree lift. The trigger is single stage, adjustable (2-4 lbs.) and incredibly crisp, enabling you to benefit from the tremendous accuracy potential of the free-floating barrel. The end is threaded under a knurled cover, making it easy to attach a variety of muzzle accessories. The rifle's two position safety allows the shooter leave the safety engaged while chambering or ejecting a round without fear of an accidental discharge. The Momentum's bolt is easily disassembled, fluted, one solid piece, and it's 3 large locking lugs ensure there is a solid lockup when chambering a round.